Small spaces are cozy. They help you spend less, they are easy to clean and maintain. They help you come up with innovative ways of utilizing your space. 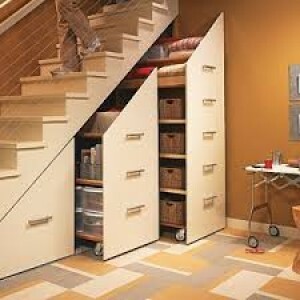 Helps you clutter less know that you have limited storage space. Small living room essentials: a petite sofa or love seat pillows, standard or table lamp, wall paper, mirror(s), Ottoman or pouf, coffee table, custom built shelve+entertainment unit. Mirrors are the best ways to camouflage the compactness of a room because it doubles the space it reflects. If you cannot get a large mirror to fit an entire wall. You can also get two or three full length mirrors and place them side by side to also create the illusion you desire. Also positioning your mirrors opposite a window will make your room look brighter adding to the bigger feel of the room. It can serve as a focal point if the frames have beautiful carvings and of course we cannot ignore the functionality of mirrors. You use it to check your self before you leave the house. Mirrors come in various shapes and sizes nowadays. You can have them locally fabricated to fit your space or buy the for interior stores. There are ordinary mirrors, frame-less mirrors, decorative mirrors and so on. Lastly they are great for hiding wall imperfections. MIRRORS ARE A MUST-HAVE ESPECIALLY FOR SMALL SPACES. There are so many types and sizes of furniture. Our focus is on the essentials. Chairs and tables. Chairs with slim arm rest or love seats are Ideal for small spaces. 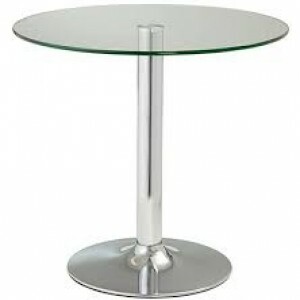 For tables, if you want a dining table in your space, it is advisable to go for a round and slender base (pedestal table). You can also use short stacking stools so they all fit into one organized unit and can also function as extra siting and they can be tucked away under a wall mounted shelve. Also poufs are a must have in my opinion because they serve as footstools, chairs and also table (with a tray on top). A great color would be white. It works well with nearly all types of décor styles. White makes small spaces seem larger. Even a very tiny room may appear to have more square feet when white is applied to walls. It adds light to a room even if the room has no windows. Although it is a difficult color to keep clean. Another way to achieve this is to use a small hint of color (red or blue) to the paint mixture. If you have a love of stuff and you need ample storage you can storage at the base of your seat. Slide away beds are rare if not none existent in Lagos. A full sized bed can be partially slid into a raised floor making it double as a couch. You can have pull-out work surfaces, fold-able chairs, tucked in stools or coffee tables, slide away shelves (see previous FLASH! Post) and Murphy beds. Glass or acrylic pieces are great too because they look light and are transparent so it won’t make your space look bulky or cramped.Another way of maximizing space would be to build in a window seat with pillows facing your settee or love seat especially if you have low windows. It can serve as alternative sitting if you have people over and the natural light makes it a good reading spot.